Dragons don’t follow conventions. They have their own sense of time and order. Three rather charming ones have entered Blue & White recently, and though we had closed the dragon door this year, these three were impossible to ignore or placate. So please, help us welcome them to our world. The first is an earthenware bell from Tamagawa Fukushi Senta, a sheltered workshop for people with special abilities. 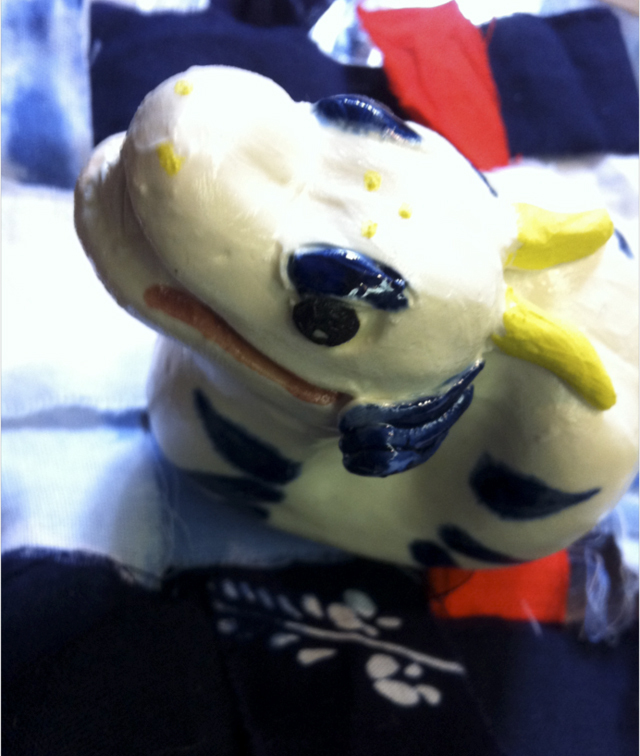 The earthenware bell that they produce each year is a dragon this year and we found it even more charming than usual. 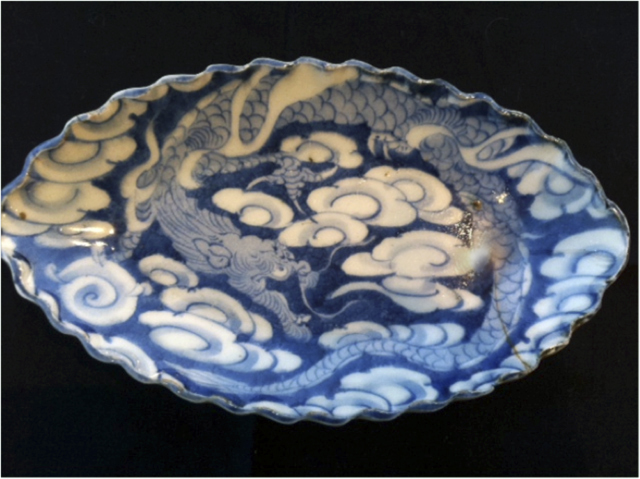 The second is a chipped old blue and white imari plate that I found at the flea market and loved for its dynamic and energetic design of a dragon entwined in a sky of clouds, a perfect balance of blue and white values, and an irresistible dragon. 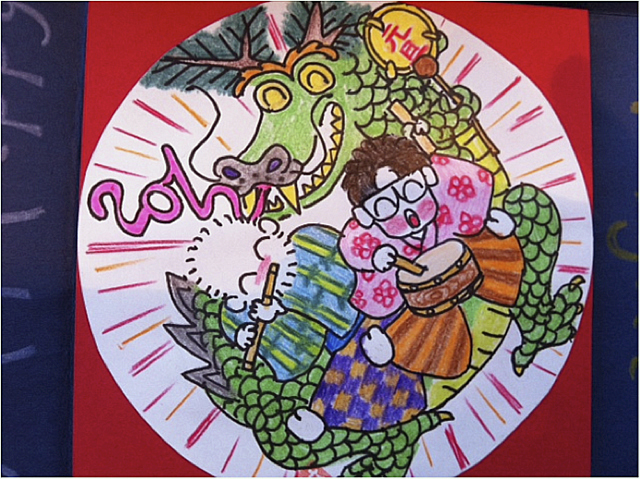 The last dragon is a New Year’s Card from Seiichi and Reiko Hagiya, a humourous and resourceful couple whose work we have introduced on earlier blogs. The energy and play of their colored pencil images are totally original and joy giving. No dragons are fresher or more ebullient than theirs. The musicians are uncannily realistic replicas of Seiichi and Reiko. How can you refuse these Three Tardy Dragons? maybe leave the door open just a little and welcome dragons all year, these are wonderful and can only bring good luck. What a selection of dragons, you were right to let them enter! Sorry Lis, to be so slow to reply. Sometimes I have trouble opening our blog to respond to comments. The Dragons keep coming. I found lots at the dyers yesterday. More next posting.